May 17, 2013. 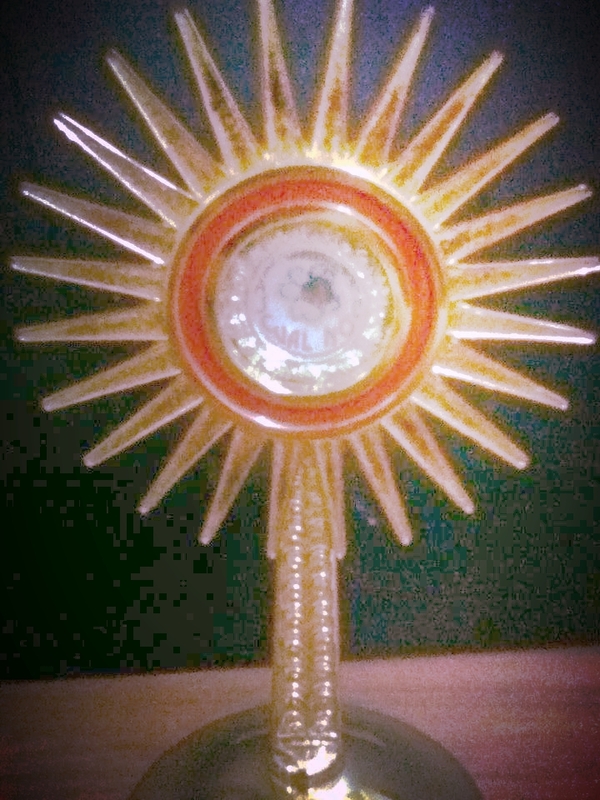 Although lacking in frills, the 109th Guinarona Fiesta for San Pascual Baylon was a landmark, with the arrival and installation of the 15th Century relic of San Pascual Baylon. As attested to by its certificate of authenticity, the relic is Class A, being a portion of San Pascual’s bone, hence its power and magnificence. The 15th Century relic of San Pascual Baylon in Guinarona, Philipines. Encased in silver and gold. The fiesta mass was Concelebrated Pontifical, with Archbishop John Forrosuelo Du of Palo, officiating, along with 18 other priests. This year’s hermano mayor was Carlos Go of Tacloban City. After the high mass, there was public acclamation of the San Pascual relic, beginning with the Archbishop and the priests. Then the faithful followed, each one lining up to pay their respects–some were touching the relic with their hands, others were using kerchiefs with which to wipe their afflictions afterwards–reminiscent of the fervor of the Nazereno fiesta in Quiapo.